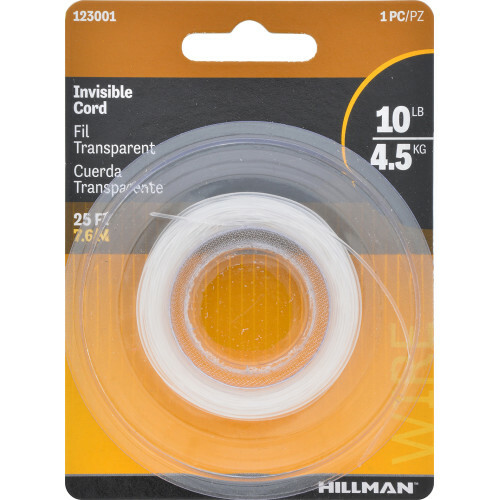 Hillman Invisible Hobby Wire is ideal for suspending or hanging items. 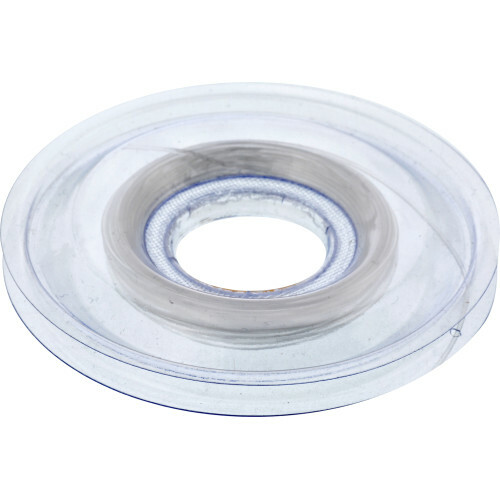 This invisible wire blends in with your DIY projects or crafts. Invisible wire won't show and will help add a more complete look to your project. 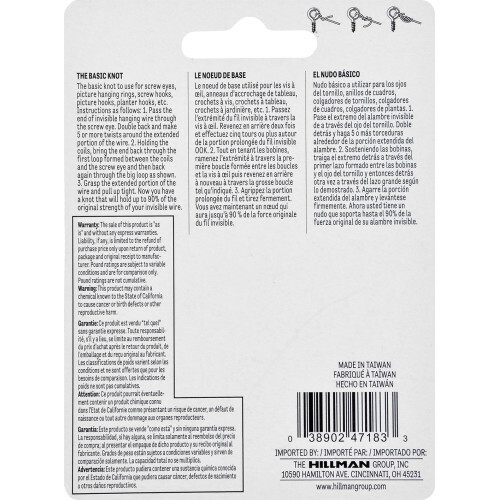 This wire is available in two different weight ratings of 10lb and 15lb.